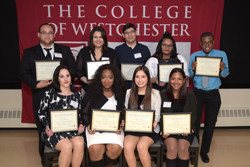 It is with great pride that we congratulate the newest 2016 CWCF Scholarship Recipients. These 14 students have displayed academic excellence, exemplary leadership, and dedication to their careers. 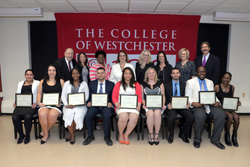 The College of Westchester Charitable Foundation exists to enhance the lives of student scholars who attend The College of Westchester. Foundation Scholars Take the Microphone!